It is not a problem unless you are stupid enough to be using Edge. You can say the same about Chrome, Firefox, MacOS, IOS, etc. etc. Oh, and HP Printers it seems. I get it. You are happy with the current version of Windows. It works. You know where things are located. You have no immediate need or desire for new features. And you feel that installing updates lies somewhere between inconvenient and laborious. Microsoft is set to release Windows 10 October 2018 Update soon -- next month if its name is any indication -- and I recommend you install it. Not for the new features necessarily, although some look promising, such as using machine learning to make installing updates less annoying since we are on the topic. No, you should update because it will keep you and your PC more secure. Feature updates add new features and functionality and are generally released twice a year -- once in the spring and once in the fall. Windows 10 October 2018 Update is a feature update. Quality updates provide security and reliability fixes and are released monthly -- typically on what is known as Patch Tuesday, the second Tuesday of every month. With each update, Microsoft patches known security vulnerabilities. 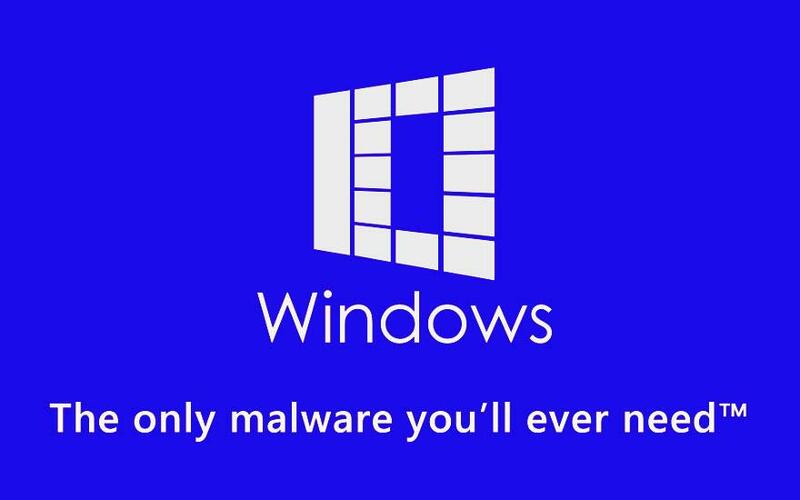 If you don't stay current, then you are leaving yourself open to nefarious individuals exploiting flaws in Windows to access your PC and your data. I don't mean to sound alarmist, but hackers target Windows with greater frequency than other platforms for the simple fact that they get more bang for their buck. The number of systems running Windows dwarfs that of MacOS, Linux and Chrome OS combined. Keeping current with Windows updates is one of the most effective ways in protecting yourself. And if you think installing Windows updates is a pain, it is certainly less painful than getting infected with malware or getting hacked. Windows 10 automatically downloads and installs updates to keep your PC secure and updated, but you can manually, too. Open Settings, click Update & security. You should be staring at the Windows Update page (if not, click Windows Update from the left panel). If an update is not already waiting to be installed, click the Check for updates button to check for yourself. A good argument can be made for delaying an update for a few days or weeks to make sure Microsoft is able to iron out all the kinks. Learn how to delay installation of Windows 10 October 2018 Update. The Your Phone app for cross-Windows 10/Android communications. Updates for Windows Mixed Reality, including support for more AR-like experiences and the ability to use a headset without a monitor. Updates to Edge for managing autoplay audio and Windows Hello-basedwebsite logins. The rollout of the SwiftKey keyboard for touch, laying the groundwork for dual-screen tablets. Separation of font scaling settings from the rest of the interface's scaling, a useful tool for high-resolution displays that can make text both incredible crisp and insanely tiny. A new and improved screenshot tool. Game Bar enhancements including improved audio recording and system performance monitoring. A notification telling you if an application is still using an external GPU when you try to detach it. Like what you see and can't wait for the official release? You can install Windows 10 October 2018 Update right now. No, you should update because Micro$oft needs to upgrade the PRISM back door. ^ Arry, how do I reset a forgotten windows 10 login password without formatting and losing programs? Microsoft is getting ready to warn Windows 10 users not to install Chrome or Firefox. The software giant is in the final stages of testing its Windows 10 October 2018 Update, and testers have spotted a new change that appears when you try to install a rival web browser. “You already have Microsoft Edge – the safer, faster browser for Windows 10” says a prompt that appears when you run the Chrome or Firefox installers on the latest Windows 10 October 2018 Update. Having said that, I'm on build 17755.1 and it doesn't do it, but I have them both installed already. When I'm sharing my personal details online I think sharing is caring. Separate browsers with script blockers, ublock and facebook fuckers. I use edge when I want to check flight prices haven't been tinkered with through repeat visits to websites. So experts what is the realistic alternative? Can you run Apple's OS now on PC, I know I could run Windows on my old Macbook tho I'm not convinced security any better? Linux or Ubuntu booted alongside Win 7. Sometimes you need Windows. Why , are some services like Skype, Adblocker outlook only compatible with MS? Adblicker and Skype both work. Mostly for MS Word. You get Office Libre with Linux it's a good knock off but falls short of Word.....imo. Also some downloads aren't Linux compatible so it's good to have the Windows option. Boys, Linux is a nice toy to play with but it will never have the choice of apps or hardware compatibility that Windows does. Now run along and start your own Linux thread, this is for those that have Windows 10 and are sticking with it. Another preview build arrived today, 17758, they are rattling them out at a rate of knots prior to the new release. And 18237 in the Fast ring. Both of them are mainly fixes and tweaks. It seems Microsoft released, then pulled the October update, because a few people noticed that User profiles were getting deleted because of age. Has never happened to me with the Insider Preview, so someone must have forgotten to turn something off before they built the final version. Those of you excitingly hanging on with baited breath for the new release will have to wait a bit longer. Massbaited breath , TD default?